Visa gift cards are widely available, but which ones are best and where should you buy them? Where are Visa gift cards sold? 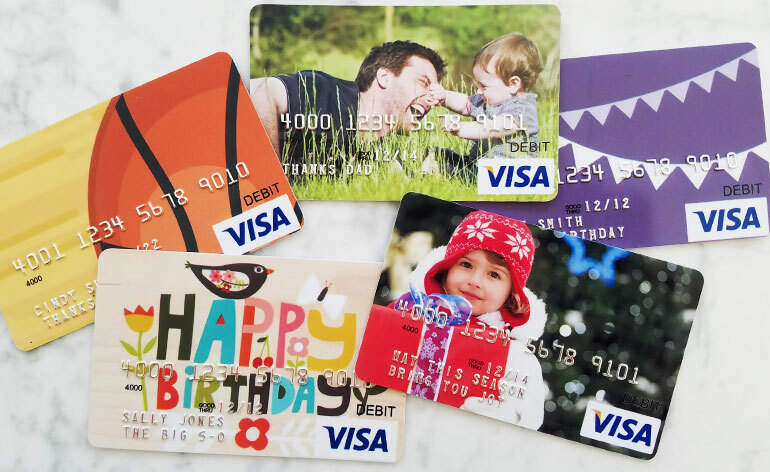 With gift cards widely available online, in third-party stores, at banks and in a variety of other places, it would almost be easier for me to explain where you can’t buy Visa gift cards. But there are differences in the cards themselves and especially in the purchase price of each. If you want a personalized Visa gift card, for example, you’ll have to order it online. 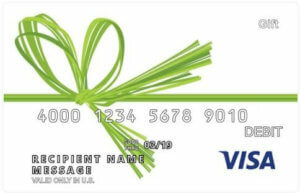 If you want a Visa gift card quickly, you’ll need to buy it at a grocery store or send an electronic gift card instead. If you want to pay a low activation fee, then the gift cards at GiftCards.com are some of the lowest I’ve found. Of course, I’m not a lawyer so I can’t give legal advice, but I can speak from my own experiences. 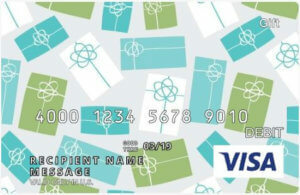 Below, I’ll share the most common places Visa gift cards are sold and the benefits of each. Here’s the Visa card I bought and the thank you gift I made for my son’s coach. This is one of my most popular Pinterest pins too, so check it out! And lest you think I’m playing favorites, I was not a GiftCards.com spokesperson back when I placed the order. See Visa’s list of trusted online vendors. Walk into any major grocery store, drug store or gas station and you will likely find a rack of gift cards. Among the cards for stores and restaurants, you’ll also see general purpose gift cards powered by major credit card companies. Though you can’t personalize these gift cards, you can buy them off the rack in various denominations. Activation rates I’ve seen for a $100 Visa gift card range right around $6. 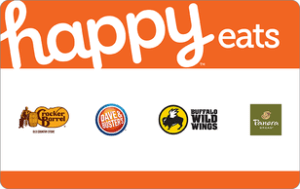 Depending on the store, you may be able to order these general-use gift cards from the store’s website as well. Staples, for example, will ship Visa gift cards, but Giant Eagle will not. You’ll have to buy Visa gift cards from Giant Eagle at a Giant Eagle location. Neither website offers personalization. See Visa’s list of trusted in-person vendors. Another place to buy Visa gift cards is from your bank. Not all banks sell them, but those that do typically sell cards to existing customers at a competitive rate–around $4 for any load value. The primary benefit of buying gift cards from a bank is that you may be granted additional security features such as the same protection that comes with the bank’s credit or debit cards. The downside is that you typically have to be an account holder with the bank in order to buy a gift card. Check your bank to see if you can buy gift cards and what additional benefits are given to existing customers. If you need to send a Visa gift card quickly, the fastest way to do it is to send an electronic Visa gift card. In most cases, the activation fee structure is similar to plastic so you won’t necessarily save money in the purchase price of the gift, but you will likely get customization and shipping for free. For example, If I want to personalize a plastic gift card and send it quickly, then I would have to pay extra for the customization and for rush delivery. But with digital gift cards, the personalization is free and so is the shipping–whether you ask for the gift card to be sent immediately or schedule future delivery. Ordering digital Visa gift cards is fast, convenient and cost-effective. One thing to be aware of in sending a digital Visa gift card is that the cards are typically not usable in stores. Plan to use Visa egift cards online, over the phone, and anywhere else that a “card not present” transaction is allowed. 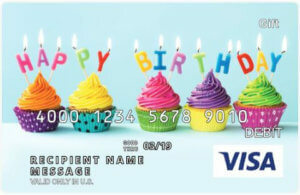 In a hurry and need to order a Visa gift card quickly? With the GiftCards.com gift card app, you can send plastic Visa gift cards and electronic Visa Virtual Accounts in minutes. Download the app and you can order either plastic or digital Visa gift cards, with personalization features available for both. The primary benefit to ordering a gift card via an app is that you can take care of the transaction in just a couple of clicks. Additionally, if the recipient downloads the same app, the gift card received will automatically be digitized and added to the recipient’s app for easy access, tracking and use. Regardless of where Visa gift cards are sold, there will be “good thru” dates and post-sale fees to consider. In most cases, the gift card funds won’t expire but the plastic will. So if the recipient fails to use the funds within the specified time frame, he or she will have to order a replacement gift card. Also, most Visa gift cards charge non-use fees if the gift card isn’t used within a year of activation or within a year of the last purchase. To avoid expiration and non-use fees, simply use the gift cards as soon as they are received. Before making a purchase, however, it’s always best to read the fine print on the back of the card or the card’s packaging before making a purchase. By law, the terms must be clearly disclosed. Read more about gift card fees and expiration dates. If you have other gift card questions or need gift card help, add a note in the comments below or leave a message for @GCGirlfriend on Twitter. I’d love to help you out.